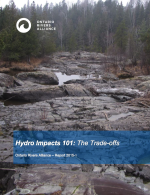 ORA’s report, Hydro Impacts 101: The Trade-offs, identifies some of the environmental impacts that can and do occur at dams and waterpower facilities. It will become clear that waterpower is seldom clean or green, and that some rivers should not be dammed at all. In addition, this Report recommends some ways of reducing the impacts, and of improving the regulatory process for waterpower in Ontario. 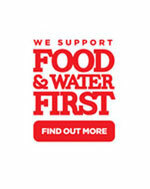 Read our report here….